One week after releasing its final report on a 2015 toxic wastewater spill accidentally triggered by its own staff at a defunct Colorado mine, the US Environmental Protection Agency announced it won’t pay the $1.2 billion in claims filed by local governments, farmers, ranchers, tribes, and river-running raft companies that were seeking compensation for lost business or wages from the spill. 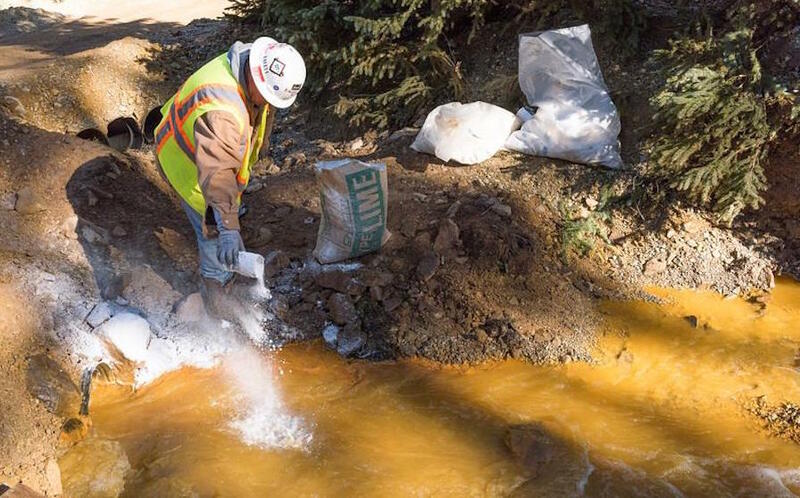 According to USA Today, the EPA said in a statement that it was "not legally able to pay" damage claims over the discharge from the Gold King Mine, because the Federal Tort Claims Act grants immunity to government agencies if something goes wrong from "discretionary" action taken by its employees. "Therefore, the circumstances surrounding the Gold King Mine incident, unfortunately, do not meet the conditions necessary to pay claims," the agency is quoted as saying in the release. The decision can be appealed to the federal court system within six months. And it probably will. Republican Senator Cory Gardner, Democrat Senator Michael Bennet and Republican Congressman Scott Tipton sent out a joint statement saying that they plan to work together to introduce legislation to ensure EPA will pay any legitimate claims. The EPA has made over $29 million available in compensation including $1 million for the Navajo Nation affected by the spill and one of the claimants. Last month, it also agreed to pay $4.5 million to state, local, and tribal governments for their response to the breach. However, the agency turned down $20.4 million in other requests for past and future expense. In August 2015, an EPA contractor hired to slow seepage of pollutants from the mine breached a tunnel wall, unleashing a torrent of wastewater that had built up behind the mountainside. The orange-colored liquid contained 900,000 pounds of heavy metals, including arsenic, cadmium, iron, lead and mercury. Three-million gallons cascaded into a creek that feeds the Animas River and later poured downstream into the San Juan River in New Mexico and across Native American lands. The contaminated stream even reached Lake Powell in Utah. The agency’s final revelations show that the spill lasted for about nine hours and, in terms of the total amount of metals released, it was comparable to four to seven days of ongoing acid drainage from the dormant mine, or the average amount of metals carried by the river in one to two days of high spring runoff. No criminal charges were filed against the agency’s employee over the spill.